A favela is the Brazilian equivalent of a shanty town, or squatter settlement, which are generally found on the edge of the city. They have electricity, but often not formally. 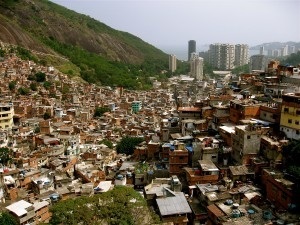 Favelas are constructed from a variety of materials, ranging from bricks to wood and anything else the people can use. 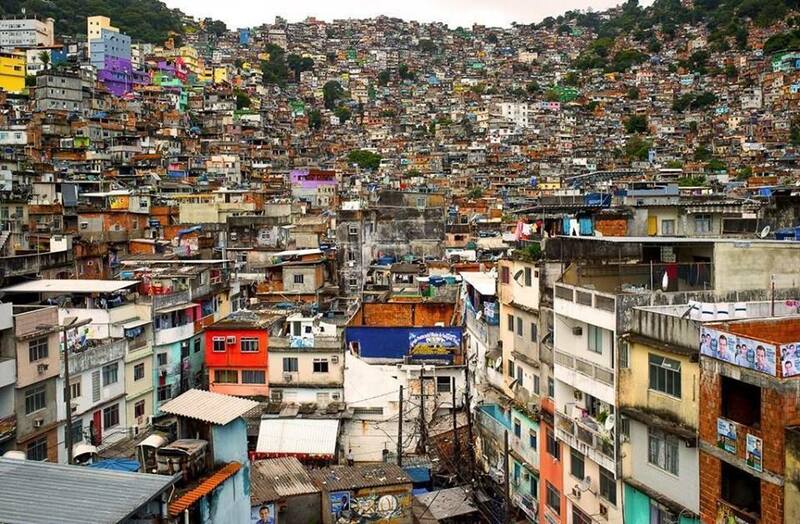 Many favelas are very close and very cramped. Most lack adequate sewage and electricity. Although many of the most famous favelas are located in Rio de Janeiro, there are favelas in almost every large Brazilian town. In Rio one in every four “Cariocas” (as the inhabitants are called) lives in a Favela. The city of Rio de Janeiro itself does not legally recognize the existence of favelas. The name originates from a species of plant with thorny leaves that grows in the semi-arid North-East region. Refugees and former soldiers involved in the Canudos Civil War (1895-1896) in Bahia would eventually settle on unreclaimed public land on a hill in Rio de Janeiro called Morro da Providência, because the government failed to provide any housing for them. The former soldiers named their new settlement Morro da Favela after the plant which had thrived at the site of a famous victory against the rebels. Over the years, most of the poor population, comprised mainly of freed black slaves moved in, replacing the refugees as the major ethnic group there. However, long before the first settlement called “favela” came into being, poor blacks were pushed away from downtown into the far suburbs. Favelas were handy for them because they allowed them to be close to work, while keeping away from where they were not welcome. A favela is fundamentally different from a slum or tenement, primarily in terms of its origin and location. 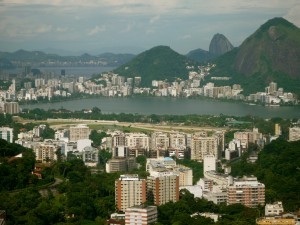 While slum quarters in other Latin American countries generally form when poorer residents from the countryside come to larger cities in search of work, favelas are unique in that they were created as large populations became displaced. Favelas differ from ghettos such as those in the United States in that they are racially mixed even though blacks make up the majority of the population. Although they were first mostly made up of most Afro-Brazilians they slowly began to consist of many European immigrants arriving in the 19th century. Another important distinction is that, in a typical favela, there is an anomalous form of social life that diverges from mainstream culture. Such a state of things was recognized as early as 1940. Shanty towns are units of irregular self-constructed housing that are unlicensed and occupied illegally. They are usually on lands belonging to third parties, and are most often located on the urban periphery. Shanty town residences are built randomly, although networks of stairways, sidewalks, and simple tracks allow passage through them. Most favelas are inaccessible by vehicle. These areas of irregular and poor-quality housing are often crowded onto hillsides, and as a result, these areas suffer from frequent landslides during heavy rain. In recent decades, favelas have been troubled by drug-related crime and gang warfare. There are rumors that common social codes in favelas forbid residents from engaging in criminal activity inside their own favela.